The 100% Changed™ program is a discipleship ministry birthed out of the heart of Desetra Taylor. 100% Changed™ equip women with the tools to develop a more intimate relationship with Christ, and to apply biblical principles to their everyday life. 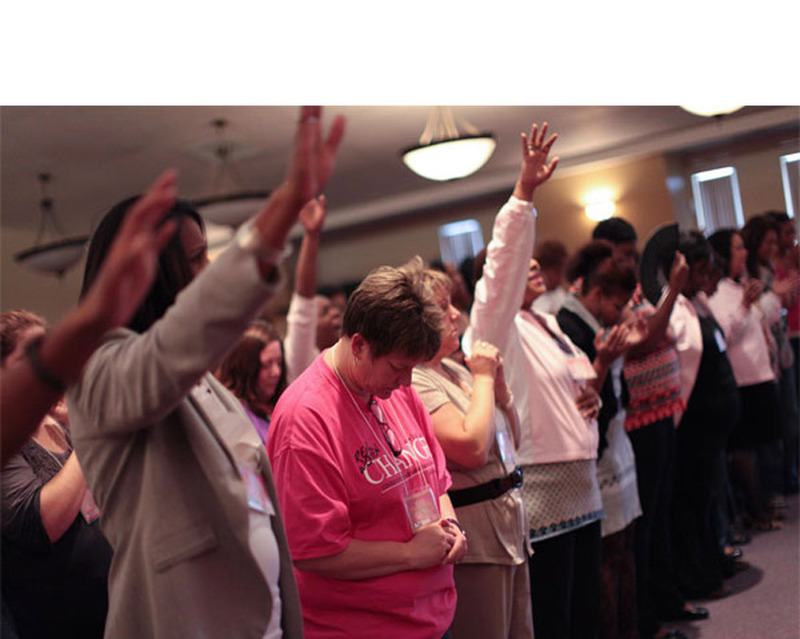 Participants are empowered to transform their lives while acquiring a greater knowledge of their identity as Christian women. The 12-week discipleship program (excluding orientation) aims to focus on three areas of change within the Christian woman: spiritual, emotional, and physical. This in-depth program is for those who desire to mature in their faith, find emotional wholeness and enhance a healthy self-image. Through weekly assignments, journaling and bonding with other women, participants are challenged to become an example of God’s transforming power for women who desire to see change in their own lives. Classes are typically held on Sunday afternoons, or an additional day of the week. At orientation, each participant is provided with a tentative schedule that outlines dates and times of all sessions.